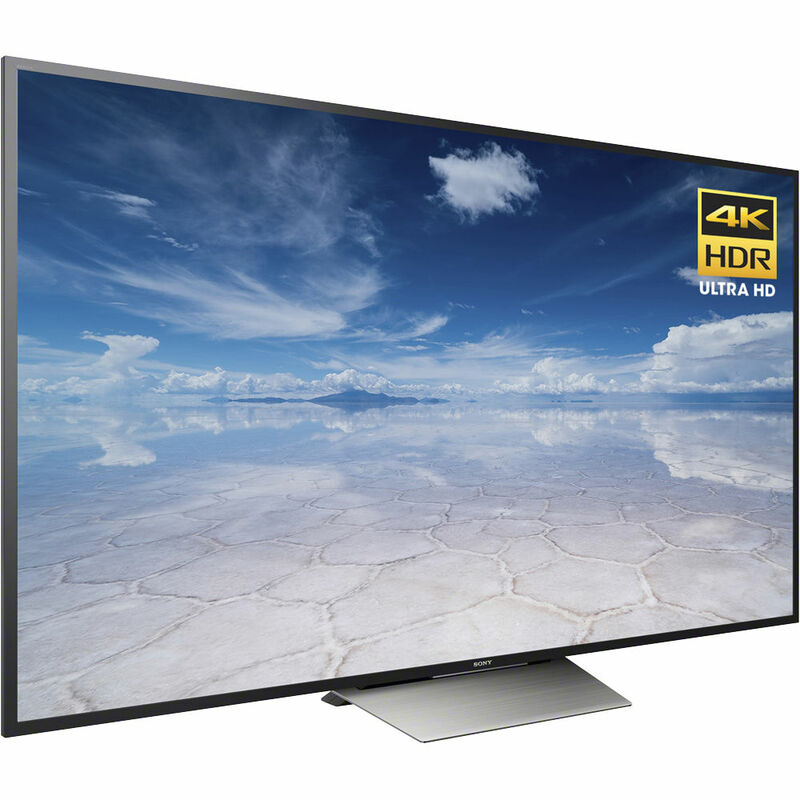 View content at 4 times the resolution of 1080p with the Sony XBR-X850D 85" Class HDR 4K Smart LED TV. Lower resolution video sources can also be upscaled to near-4K quality. This TV has a 85" LED display, and incorporates Sony Motionflow XR 960 technology to digitally enhance fast-moving images to reduce blur. 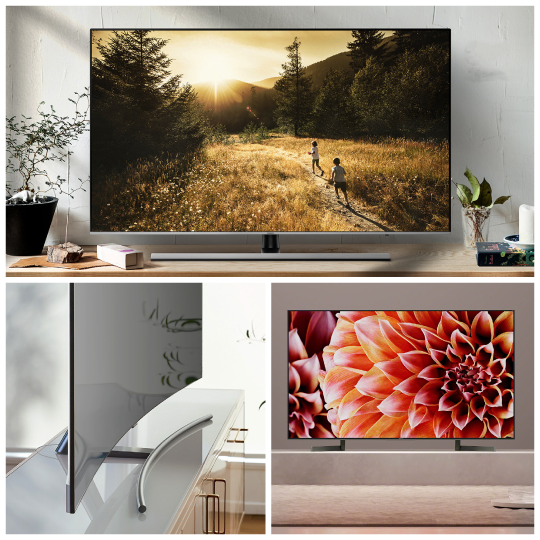 The XBR-X850D has built-in Wi-Fi and Ethernet connectivity to allow access to your favorite apps and Internet-based content via Android TV, plus content sharing and screen mirroring with your other smart devices such as your smartphone or tablet. Combined with 4K Ultra HD resolution, HDR video content is designed to deliver exceptional detail, color, and contrast with a far wider range of brightness than other video formats. Colors are designed to be as rich and vivid as nature's own thanks to the TRILUMINOS Display with more shades of red, green, and blue. When combined with HDR video, TRILUMINOS Display further increases the color depth for noticeably brighter and more realistic colors. The 4K Processor X1 ensures that everything you watch - movies, sports, and streaming video - looks the best it possibly can. Color, contrast and clarity are all optimized based on what you are watching. Sony's Motionflow XR 960 refresh rate technology allows fast-moving action sequences in sports and movies to be seen in enhanced clarity. Individual parts of each scene are analyzed and matched with an image database that independently addresses texture, contrast, color, and edges to enhance detail, no matter what you're watching. Thanks to the Dynamic Contrast Enhancer, you'll experience more texture in every scene with brighter highlights, deeper blacks, and more natural tonal gradation. The Netflix Recommended TV designation means that the TV has been determined by Netflix to provide enhanced performance and easier menu navigation. 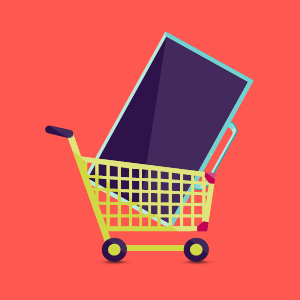 Find all the entertainment you want, from movies and TV shows to thousands of apps. Send movies and music from your smartphone to your TV with Google Cast, and use your phone as a remote control. Enjoy a huge range of apps from Google Play, including YouTube, Netflix, Amazon Video, Hulu, Pandora, and more. Also, play your favorite Android games on the big screen. Beyond streaming content, Sony's Android TV platform allows Home Automation control directly from the TV, via a Logitech Harmony Hub, which is available separately. IoT (internet of things) devices such as lights, thermostats, Blu-ray players, security cameras, and other home entertainment devices can be controlled and automated via the push of a button on the TV's remote. The Content bar is designed to quickly let you find the movie, TV show, or video you're looking for. Call up the Content bar and you can keep watching while you scan through live TV, videos on demand, downloaded TV shows, and more. You can even customize the Content bar to show you the content you go to most often first. You can play select PlayStation 3 games directly through your TV without a console. Pair a DUALSHOCK4 controller with the TV and you're ready to play with the same speed and responsiveness as a console thanks to PlayStation Now. Low-resolution Internet video, catch-up TV, and other heavily compressed audio files don't always sound so great because a large amount of information gets thrown away when digital audio is compressed. With Digital Sound Enhancement Engine (DSEE) technology, lost frequency components, especially high frequencies, are restored for natural sound with a more spacious feel. S-Force Front Surround is designed to mimic the way the brain correlates sound sources to create proper volume, time lag, and sound wave spectrum using only left and right speaker channels. By naturally emulating three-dimensional sound fields, you'll enjoy rich, high-fidelity audio across a wider listening area. The XBR-X850D uses a computer model to analyze and compensate for inaccuracies in speaker response by "sampling" the speaker frequency with higher precision. This information is fed back to cancel out any peaks or dips in the speaker's natural response, resulting in pure, natural audio with smooth, even reproduction of all frequencies. Find, record, and talk about your favorite TV shows using the TV SideView app. Use your Android or iOS tablet or smartphone to see the latest TV schedule as well as view the most popular programs currently trending. Once you've found what you want to watch, you can set an alarm so you never miss the shows you love. Live tweet your reactions and see what other viewers are saying. ClearAudio+ fine-tunes TV sound for an immersive experience that seems to surround you. Hear music, dialog, and surround effects with greater clarity and separation, whatever you're watching. Box Dimensions (LxWxH) 81.5 x 49.0 x 15.0"
Does it carry International Warranty? This TV has only a one year Sony US warranty. I'm sorry, this TV cannot be ordered for shipment to India on the Website. If you call to place the order, it can be shipped via DHL Express Freight for approximately $1252.00. This TV requires 120 VAC, 60 Hz and is not recommended for use outside of The United States.